A2. Pirulito & Tuca Da Mangueira - "Batucada #1"
A3. Celia Vaz & Wanda Sa - "Zanzibar"
A4. Celia Vaz & Wanda Sa - "Amazon River"
A5. 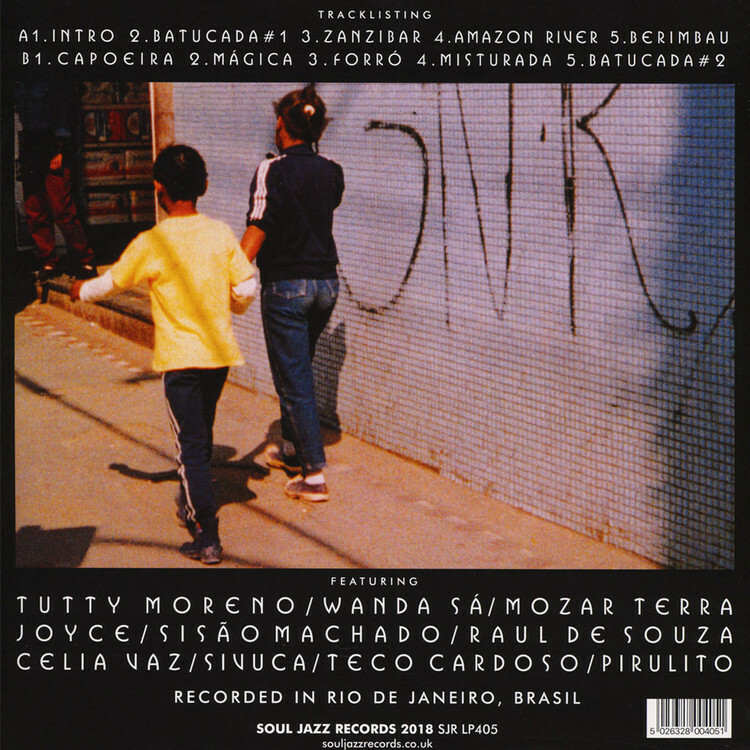 Tutti Moreno & Group - "Berimbau"
B4. Tutti Moreno & Group - "Misturada"
B5. 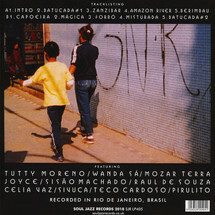 Pirulito & Raul De Souza - "Batucada #2"
Soul Jazz Records’ Brasil album was recorded in Rio de Janeiro in 1994 with a host of legendary Brazilian musicians including Sivuca, Raul de Souza and singer Joyce Moreno – and has remained one of the key defining early releases from the record label. Out-of-print for over 20 years the album has now been fully digitally re-mastered for this new 2018 edition.